The Swedish Institute at Athens publishes the joint periodical Opuscula. 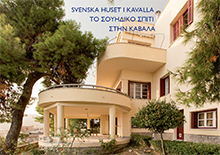 Annual of the Swedish Institutes at Athens and Rome and the series Skrifter utgivna av Svenska Institutet i Athen through the Editorial Committee of the Swedish Institutes at Athens and Rome (www.ecsi.se). The periodical and the series are devoted to Classical Archaeology, Ancient history, Art, Architecture and Philology. The Editorial Committee accepts manuscripts for publication after a process of peer-reviewing and publishes the works of the Institute to the highest editorial and publishing standards.